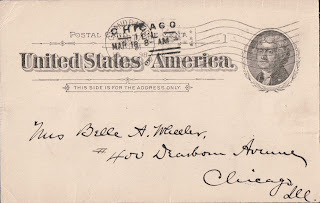 Included in the materials that my dad inherited from his mother when she died in 1983 were some letters from a distant Adsit cousin (Judge Allen C. Adsit of Grand Rapids, Michigan) to my second great aunt, Isabella (Adsit) Wheeler (1844-1916). 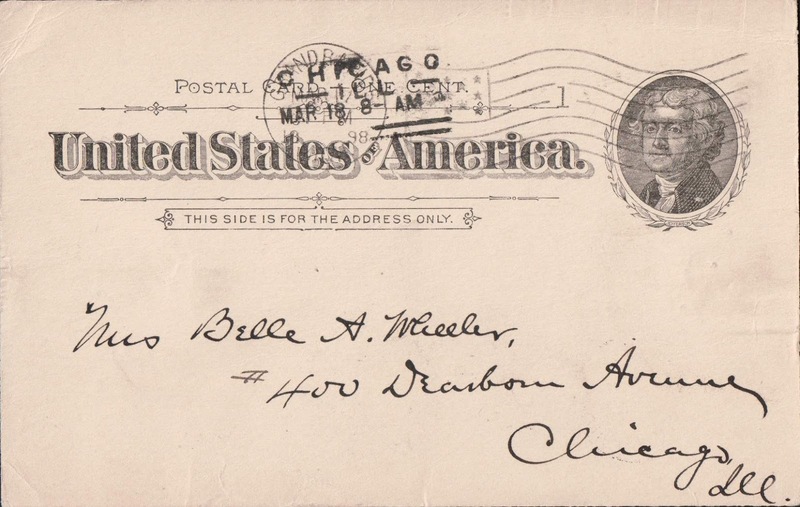 These letters and the following postcard show that my "Aunt Belle" was researching her family history (the Adsit line) 115 years ago! 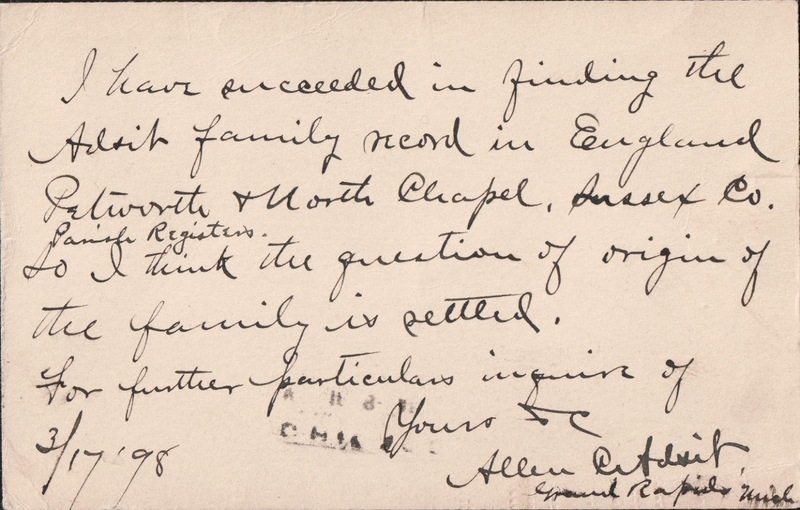 Petworth + North Chapel, Sussex Co.
How wonderful to have a postcard from 1898! What a nice gift, getting some free information that has been in your family for 115 years. The fun part now, will be proving he was correct! Barbara, in the published Adsit genealogy from the 1950's, Petworth, Sussex, England is mentioned, but confirming the exact location of my ancestor's birth place and his birth date (and with a given name like John) will be quite a challenge. Jana, Thanks very much for the "shout out" and your earlier comment. Finding those unique treasures is fun! Devon, It is amazing to find a treasure like this and remember that it is one of the reasons I got interested in family history.